This dropping was photographed at a facility at Lincoln University where stoats are held for captive research. The dropping has curled round so the far end is less clear but the characteristic tapered end is seen in the foreground. 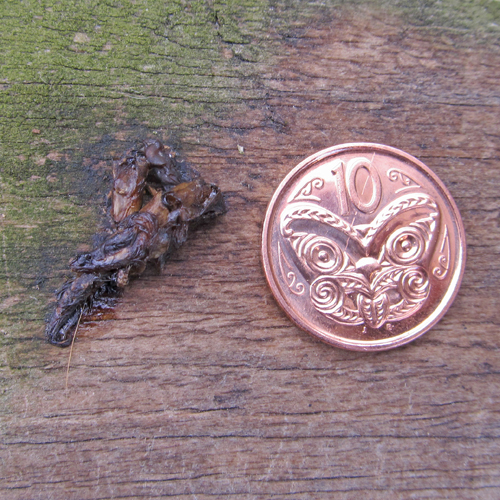 Often the wild stoat droppings look much darker.